Today's college students know plenty about the value of an education focused on business, science, technology, engineering and math. In fact, they've had it drilled into them since middle school. But there are benefits of an education not only rooted in these fields but also delving into subjects such as English, history and art. It turns out that successful entrepreneurs come from all sorts of backgrounds. For example, American Express CEO Kenneth Chenault majored in history, and former Federal Deposit Insurance Corp. Chair Sheila Blair was a philosophy major. 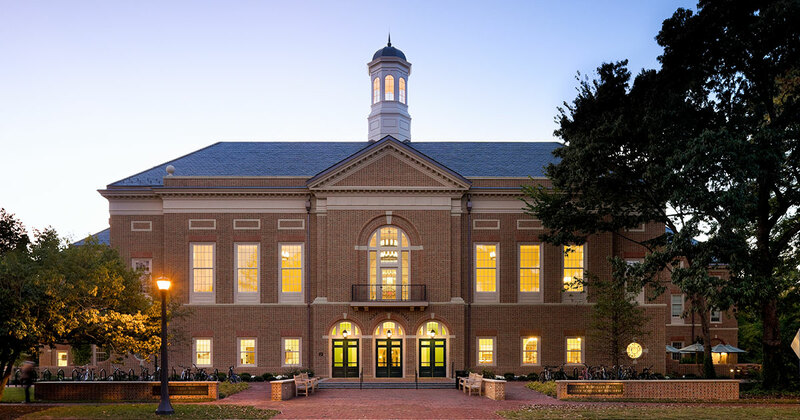 Similarly, some students in William & Mary's Raymond A. Mason School of Business bridge the gap that divides business and the liberal arts. Call them Mason's poets in the program. One is Hailey Arindaeng, a senior finance major who also is pursuing a dance minor. "I started dancing when I was 3," Arindaeng says. "We have a family-owned dance studio where I basically lived during my childhood. I loved to dance, but I also liked seeing how a small business was run. I guess that's where my interest was piqued in terms of learning about the quantitative side of business." She also learned more about what she wanted to study once she got to college. She started pursuing modern dance, and she now is president of Orchesis Modern Dance Company, which has 29 dancers. And while she always had an interest in business, she only decided to pursue a finance major after her first semester in the business school. Now she is a vice president of the Howard J. Busbee Finance Academy and works as an ambassador in the DoG Street to Wall Street program. Spending so much time at the Mason School's Alan B. Miller Hall and in William & Mary's dance studio, Arindaeng has learned how skills from each discipline apply to each other. Finance has impacted the way she views dance - and vice versa. She also says finance and the Business School have taught the dancer about collaboration. "Dance can often be seen as an individual art because your tool is your body," she says. "In comparison, everything in the Business School is team-based. The Business School is set up so you really learn how to work with people of all different personalities and backgrounds to make a better product or presentation than you could by yourself. Right now, I am choreographing the finale piece for the Evening of Dance event. With choreography, it is very collaborative because you have to trust your dancers, just like you would trust your business team." Dance also has helped her study of finance. "In dance, you learn to have a very strong attention to detail," she says. "You have to be able to thoroughly delve into something to learn a new move or style. In Student Managed Investment Fund, I applied this detail orientation and hyper focus to my given industry so that I could really understand the sector and come up with a good project." With graduation approaching, Arindaeng wants to keep finance and dance in her future. "I consider them both integral parts to who I am, and I wouldn't consider myself the person I am today without either of them," she says. "My identity doesn't have to be defined by the fact that I am in the Business School or a dancer." After graduation, Arindaeng plans to move to New York City to begin work as a consultant in a rotational program at Ernst & Young. She also intends to go back to school to get her MBA. But she makes a point to say that, as a creative thinker, she's open to wherever her career takes her. "I'm excited to be a consultant and to work in a fast-paced environment," she says. "You are constantly being challenged and never know what you're going to work on next." She's also hopeful that she will continue to dance in New York. "Back home I taught kids dance, so maybe in the future I could do something like teach dance to disadvantaged kids," she says. "I think that would be great."